The long-awaited Brompton Electric folding bike has just been unveiled. A £200 initial deposit reserves the bike for UK delivery early next year, with an RRP tag of £2,595. The bike will be available with an M type handlebar, 2 or 6 speed, in white or black and can be demoed at Brompton Junction London from the beginning of August and selected events around the UK. 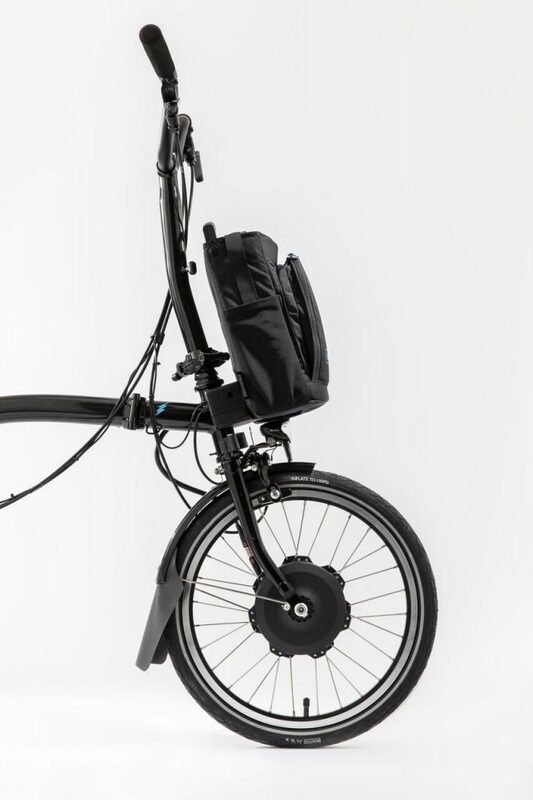 A bag houses the battery, which can be clipped on to the front of the bike – which the company say reduces the risk of theft and aids portability. “Cities are about to change. We’ve spent five years taking Williams Racing technology and integrating it into the Brompton. It has been harder than any of us imagined but we believe we have created a product that will inspire more people to get out from under the ground, out of their cars and back onto a bike to rediscover their cities. 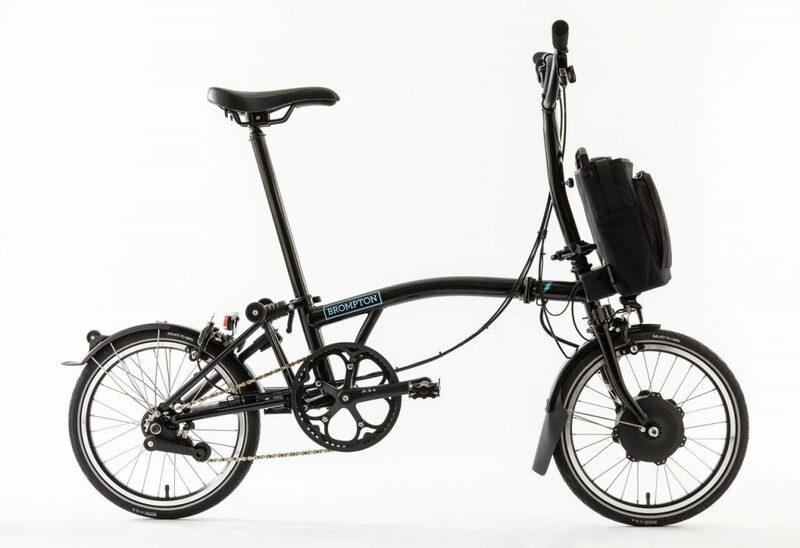 “With the Brompton Electric you feel you have the wind behind you all day, it is so much fun and a bit cheeky as whizz up hills, nip off at the lights and arrive anywhere raring to go.’ Will Butler-Adams, CEO Brompton Bicycle. 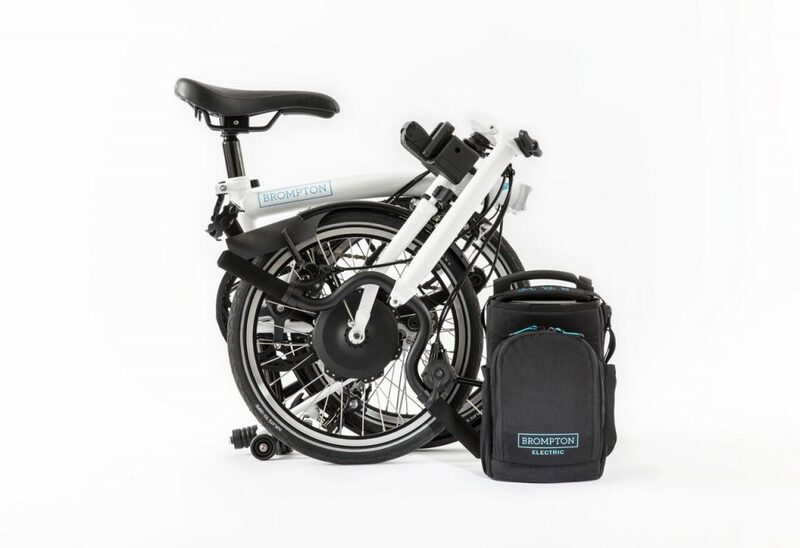 Although 80% of Brompton’s bikes are exported to 44 countries around the world, timings for the launch the Brompton Electric into ‘selected European markets’ will be dependent on the initial demand in the UK.